Originally used by the band as a header for their website and Facebook page, this image also graces the cover of my posing eBook). 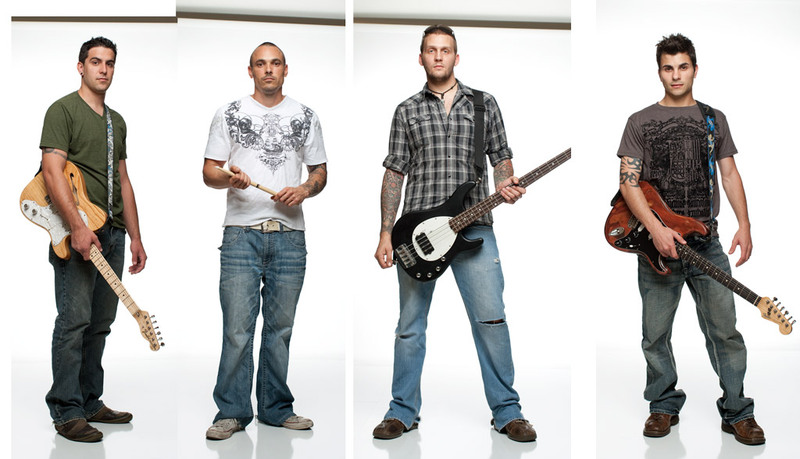 It's simple, clean, and focuses on the band members rather than a bunch of Photoshop tricks. Also, it's worth pointing out that white background shots make it easy for clients to repurpose the images by adding text, logos, and other graphic design elements (a topic I cover in greater detail in another one of my eBooks, entitled "Shoot for the Stars"). 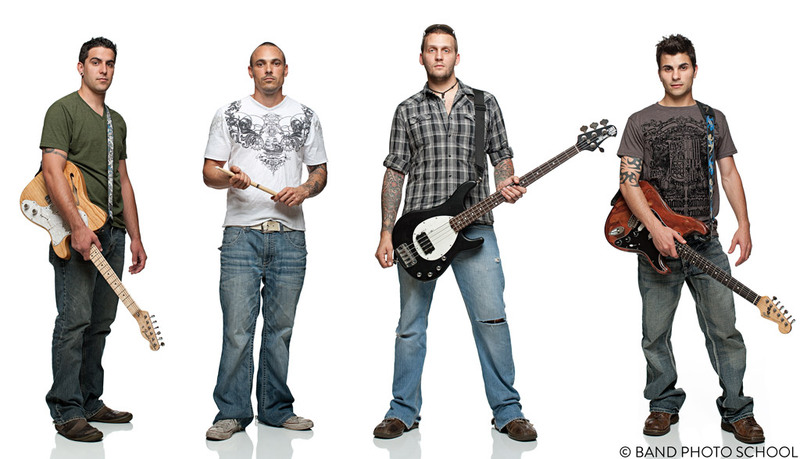 Each individual band member was shot with a single Elinchrom Ranger Quadra inside a 5' octabank, and there were also two bare strobes set to roughly two stops hotter, firing directly at the background to blow it out to pure white. This image required minimal Photoshop work-- just the normal sharpening, contrast, and a light dose of Topaz Adjust for added depth and clarity.